At CSPS, the goal of our literacy program is to develop lifelong readers and writers who have a love of reading and writing. We aim to do this by developing students’ thinking, speaking, listening, reading and writing skills, as well as their knowledge and understandings of literacy. Our English Scope and Sequence is based on the Victorian Curriculum as well as innovative approaches to teaching literacy being based on current research. As part of our approach to teaching reading and writing, teachers meet regularly with each student for a one-on-one conference. We believe conferences are the best way to set reading and writing goals and to provide targeted teaching for every student. Conferences also show students that their teacher cares about them as a reader and writer. 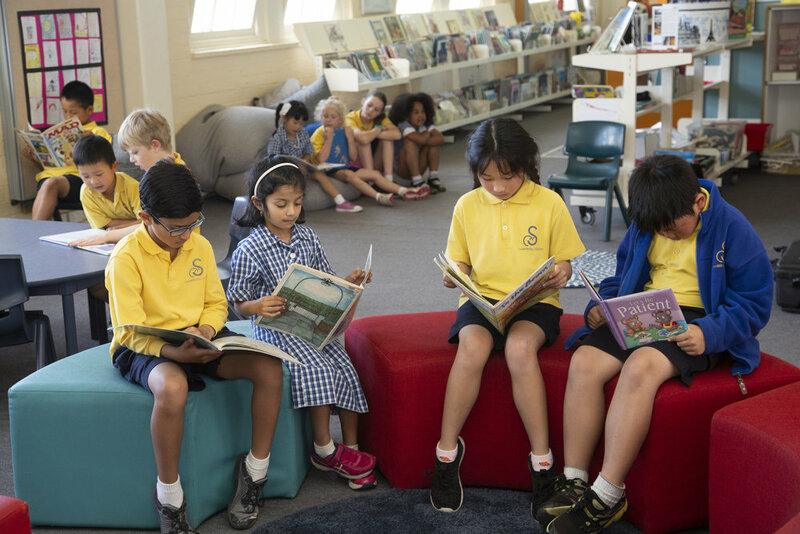 Our approach to teaching reading is evidence-based on research that tells us that students learn to read by reading. A key element of a successful reading program is choice. Every student at CSPS has their own tub of ‘just right’ books that they have chosen to read during Independent Reading. Students are encouraged to record their thinking in their readers’ notebook. The readers’ notebook provides students with a place to document their thinking and growth. Their responses can also be used to support their thinking when it comes time for group discussions. At CSPS we acknowledge that writing is a complex process. As a result we explicitly teach the different components of quality writing: Voice, Organisation, Ideas, Conventions, Expanding Vocabulary, Sentence Fluency and Presentation. This provides a common language throughout the school when teaching and learning about writing, and helps students break down the task and understand it better. The approach is based on the ‘6+1 traits of writing’ by Ruth Culham. As well as learning about different genres, students are also provided with the opportunity for free choice writing on a regular basis. Every student has their own writers’ notebook where they can draw, write and collect ideas for writing. This encourages students to see the world through the eyes of a writer and be inspired by the world around them. At CSPS we provide many formal and informal ways for students to develop their oral language across all areas of the curriculum. Starting from Prep, students are introduced to ‘Turn and talk’, a strategy that is used across the school to model and practise discussion skills. Students are taught explicitly about the importance of displaying positive body language when speaking and listening, as well as how to change their voice to suit the occasion. Students participate in formal speaking and listening tasks during which they receive peer and teacher feedback about their skills. This helps students develop an understanding of their strengths in these areas as well as to develop their future goals.